We found a great place for horse shavings! (GET THIS) only $4.50 each bag. And you can buy one bag or as many as you’d like. We’ve been back 3 times!. Usually the stuff you get at Agway or Tractor Supply is very expensive (cost per pound) or the flakes are so big they don’t absorb well. We tried those before and ended up wasting a bunch. Bag for bag/pound for pound these shavings were a great buy for us and healthy for the horse too! [HINT] Make sure to ask to see “Sailor” her big ol’ stud stallion and the yearlings she has in the in the back field. 🙂 Their incredibly friendly! 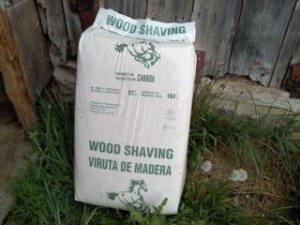 OK, OK, so the shavings are small, highly absorbent, little or no dust and the price for this kind of product was the best we’ve found anywhere. Kiln dried, 3.25 ft. size. Small to med flakes. A 2 horse trailer will hold 100 bags. Delivery is another option but a delivery charge would apply. They are in Ledyard, CT. Cash only please. I dialed the number above re: shavings and it wasn’t a business…help! I want to be a Horse Mom, can I become a Horse Mom?